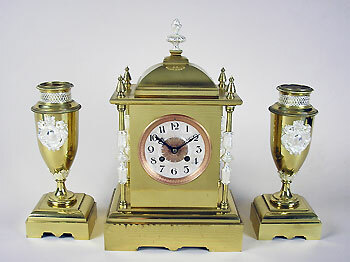 This is a polished brass and parcel silvered garniture set by Chogin of Paris. 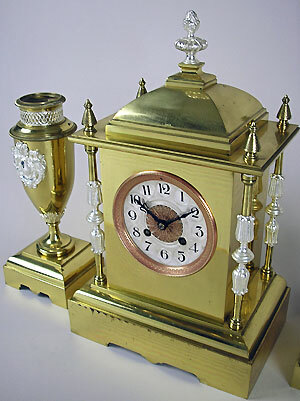 The dished and silvered dial has Arabic numerals and fleur de lys hands. 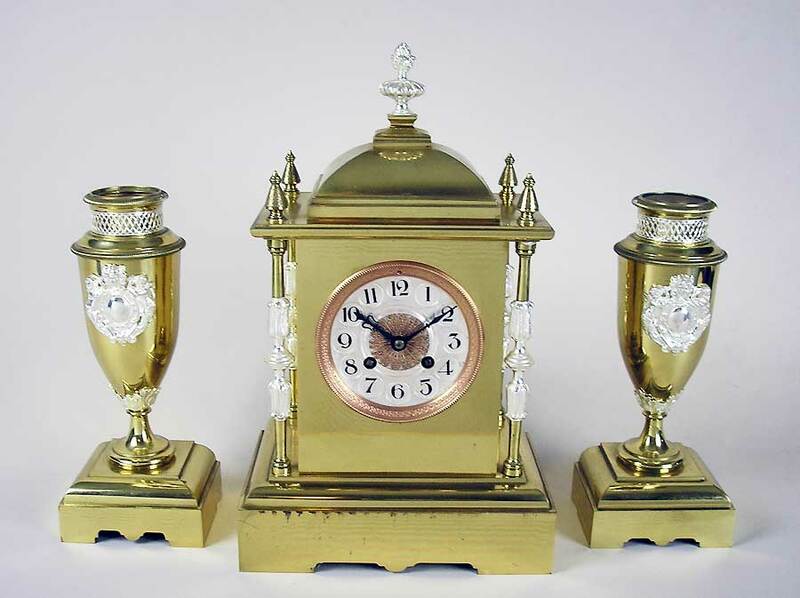 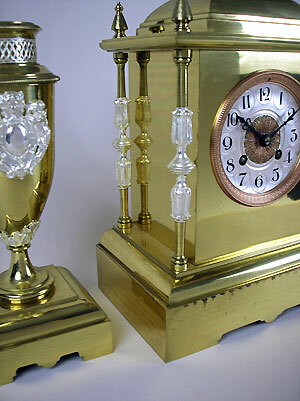 The clock has an eight-day gong striking movement and the mounts on the clock and urns are silvered.